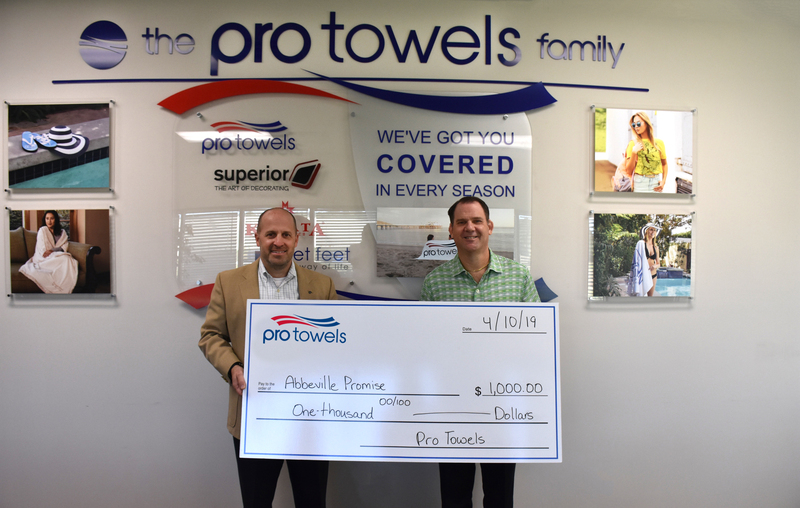 ABBEVILLE, SOUTH CAROLINA – April 16, 2019 – The Pro Towels Family of companies, including Pro Towels, Kanata Blanket Company, Superior and Neet Feet, has donated $1,000 donation to the Abbeville Promise Program, a higher education scholarship program committed towards helping students in the local area. The scholarship program was established by the Freshwater Coast Community Foundation to help bring access to higher education to any student who is a resident in the Abbeville County. Pro Towels Family is excited to be a part of this scholarship program, as well as becoming a partner within the community by helping with future donations and events. 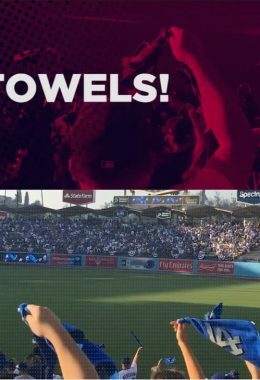 Pro Towels is the largest towel supplier to the promotional product industry with locations on both the east and west coast. The company offers in-house screen printing, sublimation and embroidery services to support a broad product line of beach, golf, and sport towels. Additionally, Pro Towels carries bathrobes and other beach accessories to complement its towel line. The Pro Towels family of companies also includes Kanata Blanket Company, a leader in premium blankets, décor and lifestyle products, Neet Feet, a supplier of quality custom logo flip flops and premium footwear, and Superior, a leader in contract decorating for the promotional products industry for over 35 years.